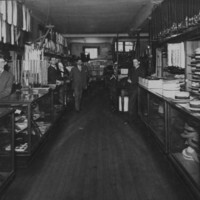 O.D.. Gray's Store. Stood where the Star Restaurant now stands. Taken in 1897. 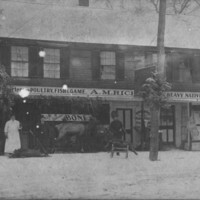 Store: Fuller's Drug. 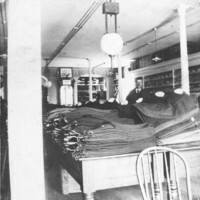 Interior with Employees. 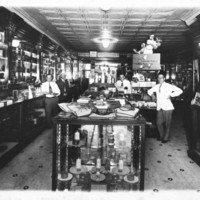 Fuller's Drug Store. The Square. 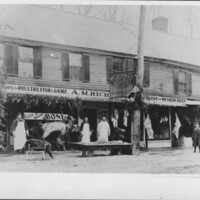 Bellows Falls, VT.
Market: A.M. Richards. Bear and Moose. Market: A.M. Richards. Hunters with buffalo and elk.. A.M. Richards Market. Rockingham Street. Bellows Falls, VT. Formerly Morgan's Tavern. Stores: L.G. & C.E. Howard & J.J. Fenton Co.
Stores: L.G.. & C.E. Howard and J.J.. Fenton & Company. 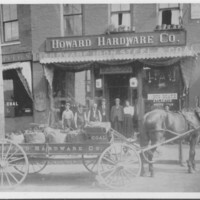 Store: Howard Hardware Co. Employees and Delivery Wagon. 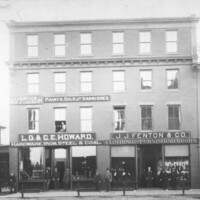 Howard Hardware Company. 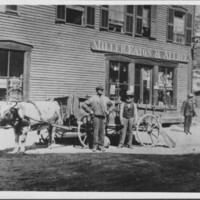 Bellows Falls, VT. Employees and Delivery Wagon. Store: N.Y. Racket. Winnewisser & Company. (handwritten on back of photograph). N.Y. Racket. Winnekisser & Conway Props. Miss Kate Sullivan; Miss Delia Keane; Miss Margaret McGlauphlin; Miss Dora Vayo; Mr. N.E. Conway; Mr. Orren Sullivan; Mr. Gerry F. Wolker. Clark & Durkee. Bellows Falls, VT. 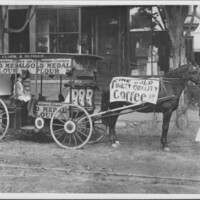 Delivery Wagon: E. Burke, Alice Clark Holmes. Store: Parlor Millinery. Pauline Howard. Mrs. Pauline Howard. Parlor Millinery. 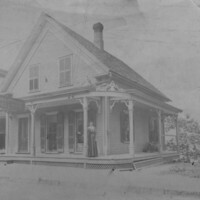 Old Kiniry House next to Rockingham Hotel. Store: Goodnow Brothers & Pearson. Town. 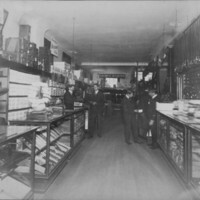 (handwritten on back of photograph): Goodman Bros. and Pearson. J.R.. Pearson - G.F.. Walker. A.M. Clough. Town. 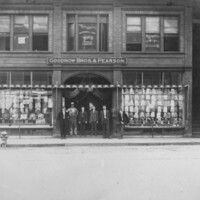 (handwritten on back of photograph): Goodman Bros. and Pearson. Shoe Department. Harold Bishop - Carl Dean - Arthur Clough. 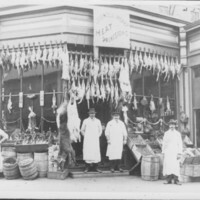 (handwritten on back of photograph): Goodman Bros. and Pearson. Carl Dean - Gerry Walker - J.P. Pearson - Matt Abbott. Store: Goodnow Employees. Pillsbury Farewell Party. 2/19/1930. 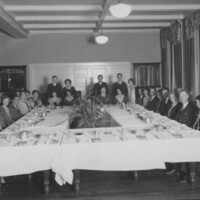 Farewell Party to Mr. and Mrs. Ralph E. Pillsbury. February 19, 1930. Hotel Windham Dining Room. Store: Goodnow, Jewett & Bishop. 12/6/1915. Goodnow, Jewett & Bishop. The Square. Bellows Falls, VT. 12/6/1915. 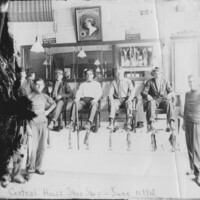 Store: Central House Shoe Shop. 6/11/1912. 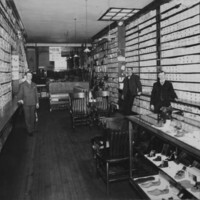 Central House Shoe Shop. Shines and a Game of Pool. 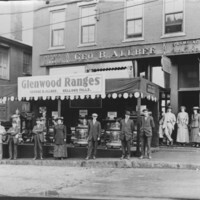 Bellows Falls, VT. 6/11/1912. 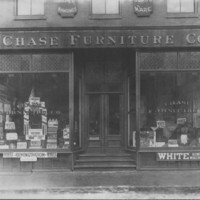 Store: Chase Furniture Company. Bellows Falls, VT. 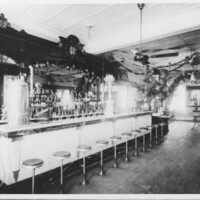 Prior to 1912. 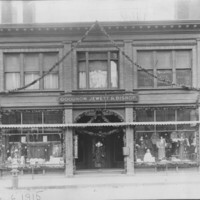 Store: J.J. Fenton. Interior. Early 1900's. J.J. Fenton Clothing for Men and Boys. The Sqaure. 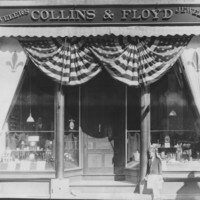 Bellows Falls, VT.
Store: Collins & Floyd, Jewelers. Early 1900's. Collins & Floyd, Jewelers. The Square. Bellows Falls, VT. Early 1900's. 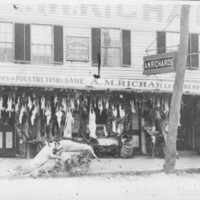 A.M. Richard's Market. With Elk and Buffalo. 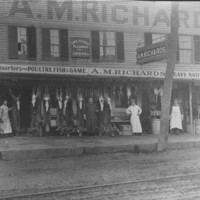 A.M. Richard's Market. 1911. 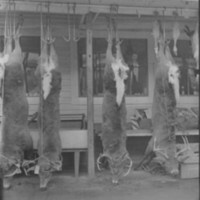 Deer Killed by Dr. Clarke. Miller, Eaton & Hall, Plumbing. 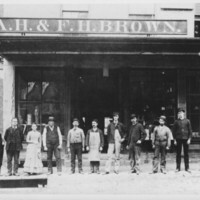 Bellows Falls, VT. 1880's. 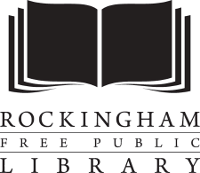 Store: George E. Albee. Plumbing and Heating. George E. Albee. Plumbing and Heating. Bellows Falls, VT.
Market: Griswold and Meany. Meat. 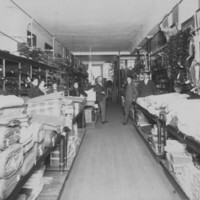 Store: Babbitt & Hayes Drug Store. 1880. Babbitt & Hayes Drug Store. Bellows Falls, VT. 1880. 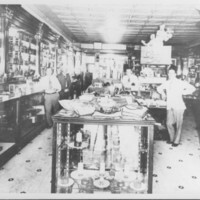 Store: Babbitt & Hayes Drug Store. Soda Fountain. Soda Fountain. 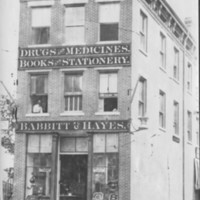 Babbitt & Hayes Drug Store. Bellows Falls, VT. 1880. 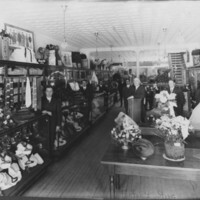 Store: A.H. & F.H. Brown. Plumbing. A.H. & F.H. Brown. Plumbing. Bellows Falls, VT.
Store: Hall's Grocery Store. 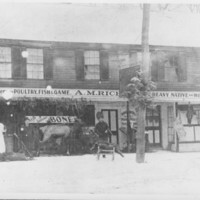 Store, Family and Wagon. 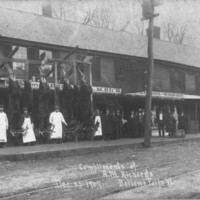 Hall's Grocery Store. 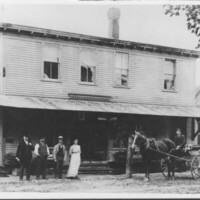 Bellows Falls, VT. Store, Family and Delivery Wagon. Store: Herbert Morse Auto Showroom. 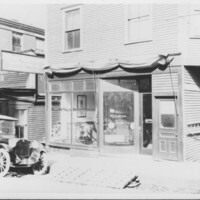 Bellows Falls Motor Company. 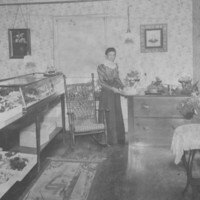 Herbert Morse Showroom. Westminster Street. Bellows Falls, VT.
Washington Candy Company. 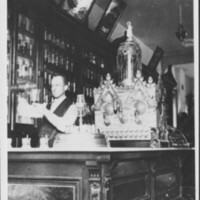 Soda Fountain. Westminster Street. Bellows Falls, VT.